Movavi Video Editor is a comprehensive yet easy-to-use video editing utility available for Windows and Mac OS X. Movavi Video Editor offer extensive functionality for essential video editing tasks to easily create stunning home videos and colorful photo slideshows: cut, trim, merge and enhance your footage, add special effects, rotate the frame, add dynamic transitions and your favorite music to match the visuals. With Movavi Video Editor, you can either enhance your video files or transform them into something completely new. Create your own movies using multiple filters, transitions, and special effects. Enhance the quality of your videos: adjust colors, fix vertically shot videos, and stabilize shaky footage. Improve sound with the help of Equalizer, Normalizer, and Noise Removal tools. 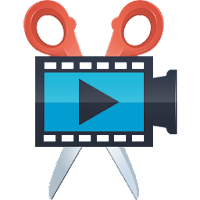 Movavi Video Editor allows you save files in any popular video format (3GP, AVI, FLV, SWF, MKV, MOV, MP4, MPG) and audio format (AAC, FLAC, MP3, M4A, OGG, WMA, WAV). Moreover, You get 200+ ready-made presets for mobile devices, including the latest Apple and Android smartphones and tablets. Save projects in any popular format. Disclaimer: Direct downloads for the lastest version of Movavi Video Editor 12.5.1 are provided by the official software's author, we can't guarantee safety, availability or download speed. Moreover, we don't and we won't provide any pirated/illegal versions or tools. We recommend you to avoid it as these methods can harm your device. If you like the software, buy it to support the developers. (We provide software discounts for many worldwide brands).